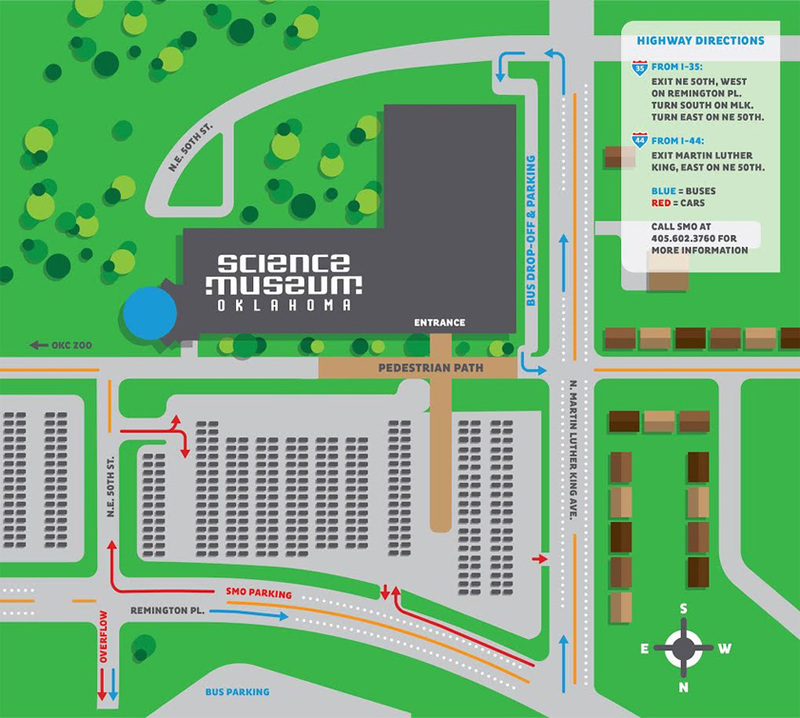 Science Museum Oklahoma has a large parking lot directly in front of the museum with entrances available on Martin Luther King Avenue and Remington Place. During peak times, overflow parking is available at nearby Remington Park. Parking is always free at Science Museum Oklahoma. Guests are always welcome to drop off members of their party in the circle driveway on the west side of the museum prior to parking. Children under age 16 should not be dropped off without a parent or guardian. Closed Thanksgiving, Christmas Eve and Christmas Day.